Coach Dean Smith's trust sends check to former players for "dinner out"
CHAPEL HILL, N.C. (WTVD) -- Coach Dean Smith, the legendary former UNC basketball coach who passed away in February, apparently willed his trust to send a $200 check to all of his former varsity players. The letter sent to all former letterman read, in part, "Each player was important and special to Coach Smith and when he prepared his estate plan, Coach wanted to reach out to each of his letterman." 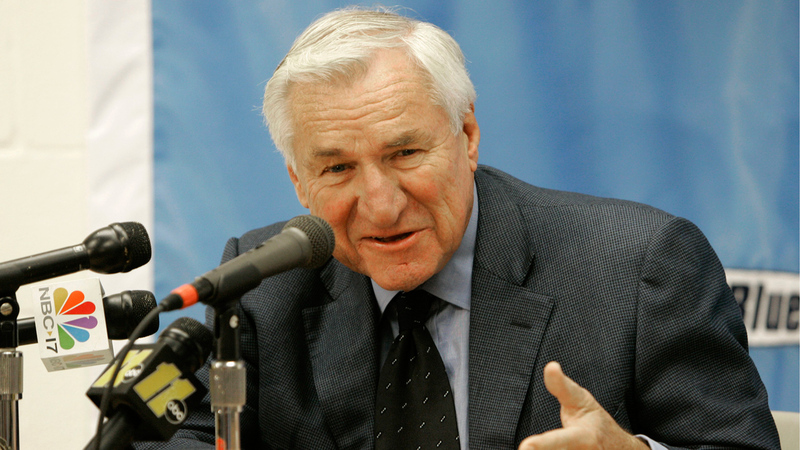 The letter instructed his former players to "enjoy a dinner out compliments of Coach Dean Smith." ABC11 has reached out former player Dante Calabria to confirm the letter's authenticity, but he has not yet responded.